Happy Sunday Everyone. Sunday is a busy day at our house. 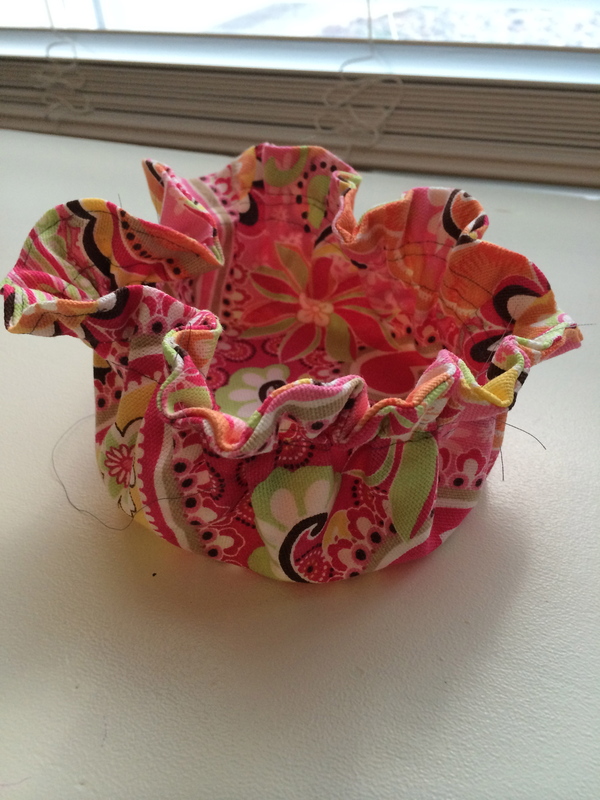 Its a day for chores, grocery shopping and most importantly…sewing! My daughter and I have been spending a lot of time creating small projects. 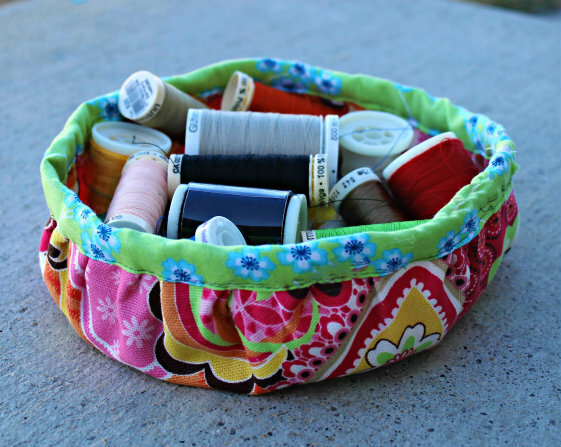 This Sunday, we made this cute storage fabric bin to store some of my sewing essentials. Though she made more of a mess than actually helping me, we had fun together. This is a super simple project that takes about 30 minutes to create. 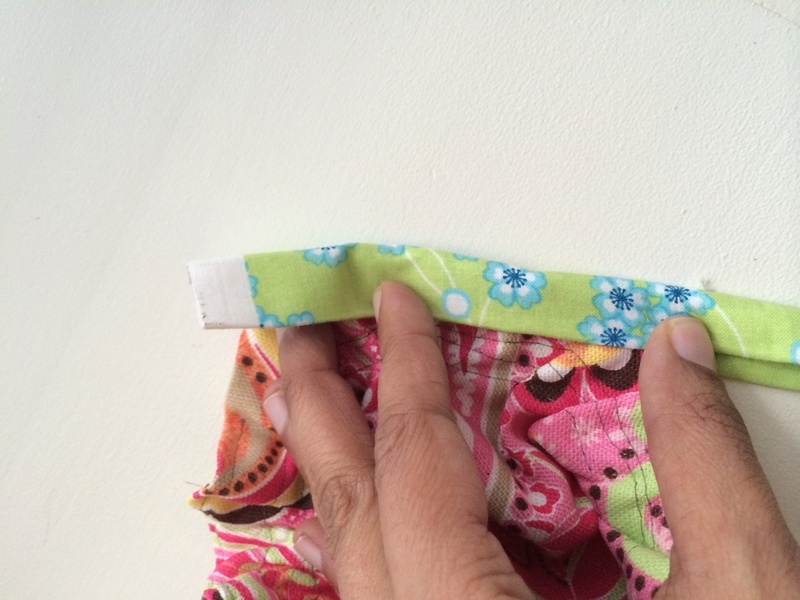 You can do it with regular cotton fabric with interfacing or just home dec fabric. You can also chose a different color for the lining and binding to add some contrast. I think I will be making a few of these for other things in my craft room. They can even work as drawer organizers. Cut two circles how ever large you want them. Mine were 10″ in diameter. You can use the same colors or use a different color for your lining. 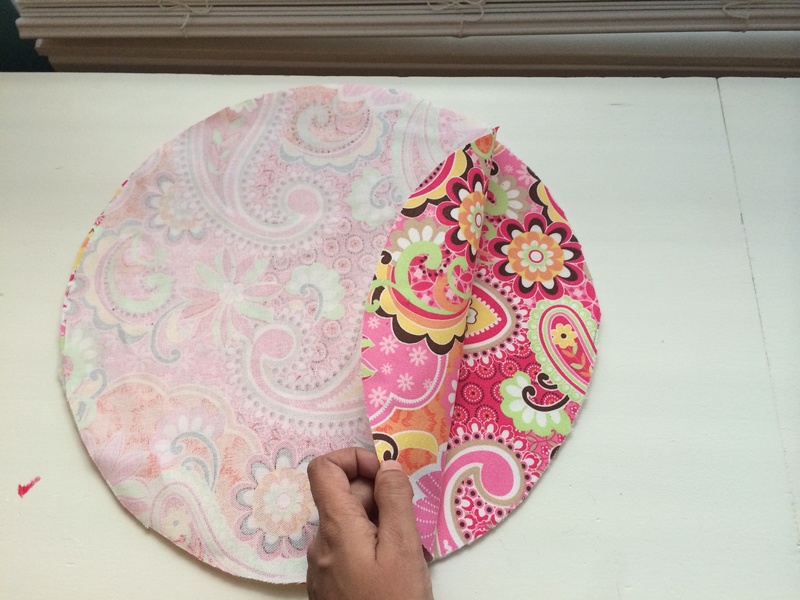 If you are using regular cotton, you should also cut out a 10″ diameter of your fleece interfacing. 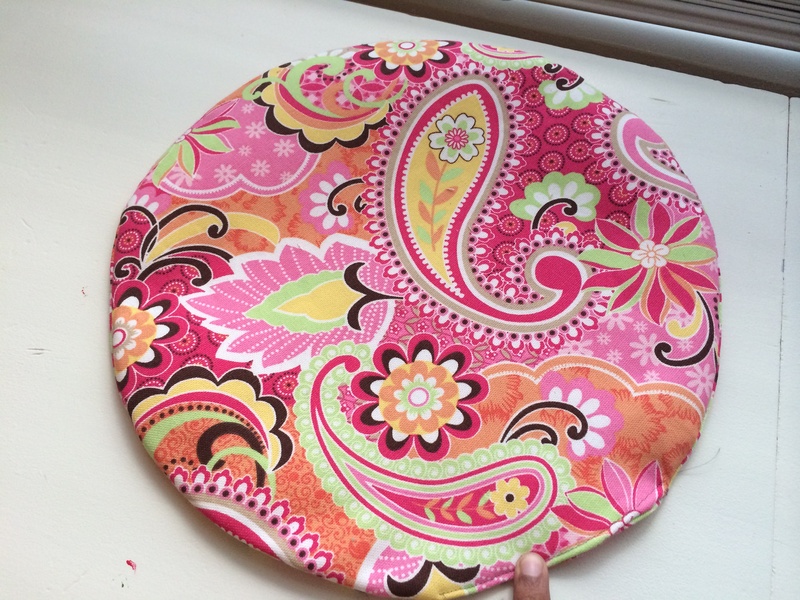 Iron on the interfacing to the wrong side of one of your fabric circles. Next, sew the two circles right sides together, leaving a small opening. Turn it inside out and top stitch your opening close. 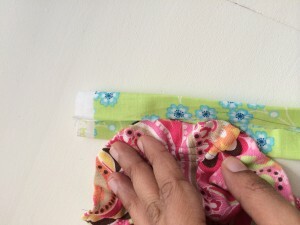 Setting your stitch length to the longest on your machine, sew two stitches the way around your circle. 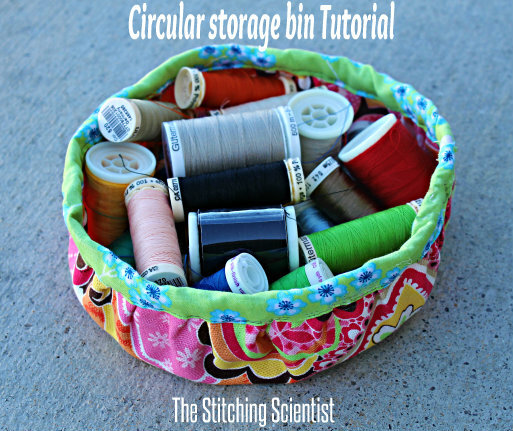 Pull one of thread of each of your stitches so that you have a gathered circle. 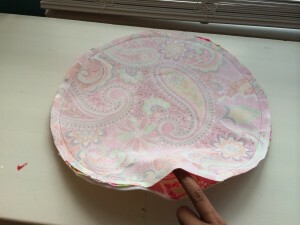 Take your binding that you made and sew it all the way around the top of the circle, enclosing the top inside the middle of the binding. 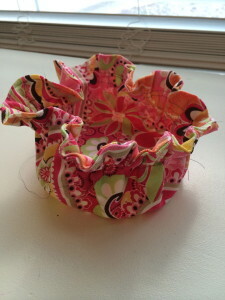 Sew in the inside first, then fold it on top and sew on the outside (right side).